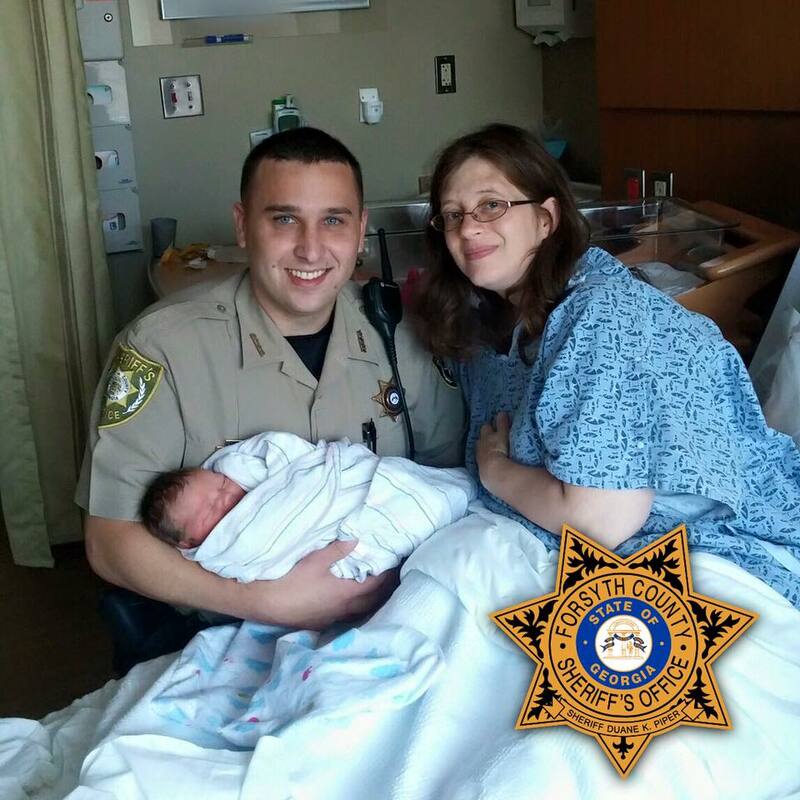 Forsyth County Sheriff’s Deputy Matt Pittman helped bring a new life into the world after delivering a baby on the side of the road. 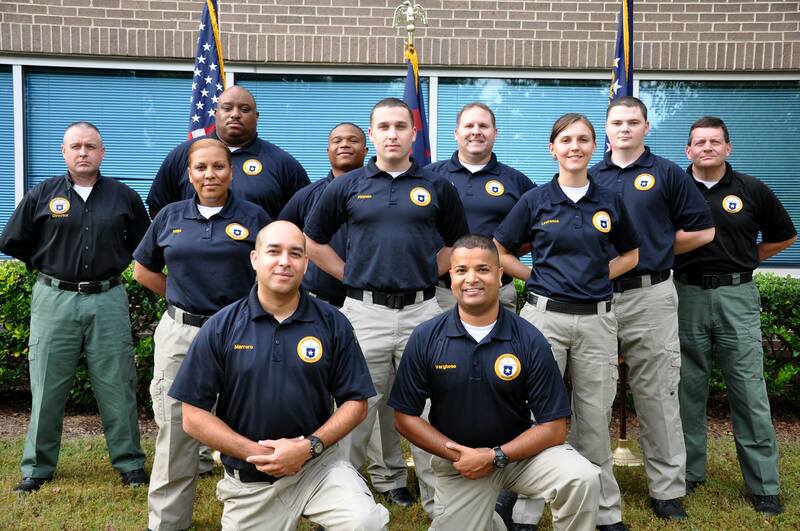 Pittman is a 2015 graduate of the Reinhardt University Police Academy. According to news reports, Pittman was dispatched to a call of a woman in labor around in the early morning hours of April 26. Carie and Anthony Johnson were on their way to the hospital when they realized they would not make it, so they pulled over on Georgia 400 and called 911. Forsyth County Dispatcher Julie Sims alerted Pittman, who happened to be nearby, and walked Anthony Johnson through the process, according to news reports. Pittman arrived to assist Johnson and helped bring Mia Miranda Willow Johnson into the world at about 2:15 a.m.
Forsyth County Sheriff’s Deputy Matt Pittman, pictured center, is a member of the RU Police Academy Class 15-002. Pittman paid the family a visit the next evening and everyone is doing well. Pittman completed the Reinhardt University Police Academy in October of 2015 as a member of Class 15-002. Pittman served as president of his class and earned Basic Peace Officer Certification upon completion of his training. He joined the Forsyth County Sheriff’s Office as a deputy sheriff in January of 2016.